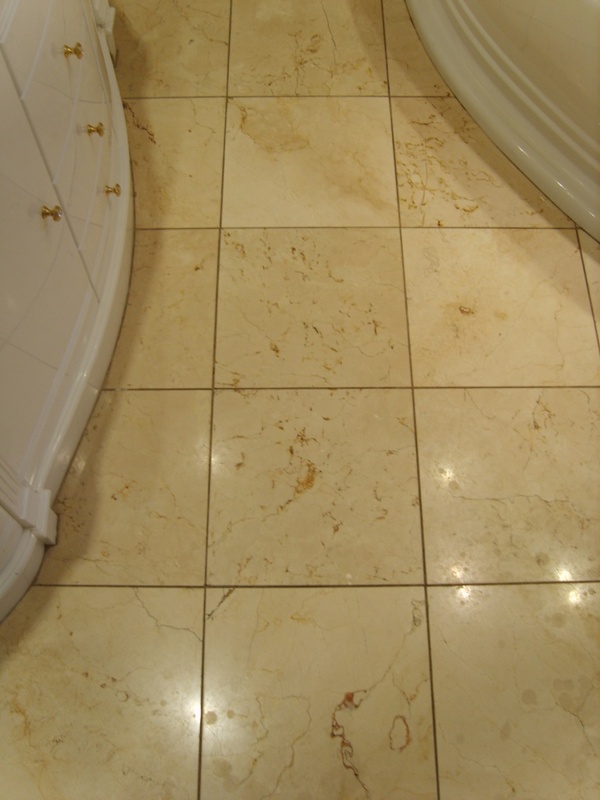 These Marble Tiles were laid in an en-suite bathroom at a house in Bridport, the main problems to be addressed WERE that the floor had dulled and lost most of its shine, there was also a coffee stain in the corner which needed to be addressed. To remove the ingrained coffee stain we used Tile Doctor Reduxa, which is a penetrating stain remover used in conjunction with a heat gun, it can take a little time to work but its very easy to apply, I’ve copied the instructional video below so you can see for yourself. 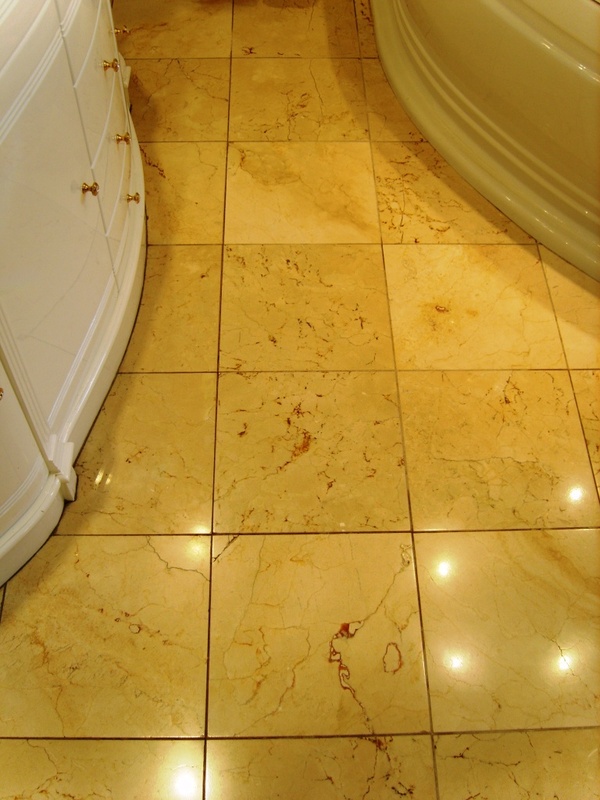 Before polishing the marble tiled floor we set about giving it a quick clean using a mild dilution of Tile Doctor Pro-Clean to ensure there was no grit on the floor that could lead to deep scratches when polishing. The floor was then rinsed with clean water to remove and chemical residue and we then began polishing the floor using a set of burnishing pads fitted to a heavy buffing machine. There are four pads in the set each encrusted with very fine diamonds, you start the process with the Red pad which is designed to remove sealers, followed by the White polishing pad for the removal of ingrained dirt then the Yellow smoothing pad and finally the Green polishing pad. The floor was then washed down to remove any remnants from the polishing process and dried off so it could be sealed. To seal the floor we used a single coat of Tile Doctor Ultra Seal which is a premium penetrating sealer that gives a natural appearance and will provide long lasting stain protection going forward. The customer requested the coffee stain removed and a high shine finish and was not disappointed, my photography skills aren’t brilliant but hopefully you can also see the improvement.